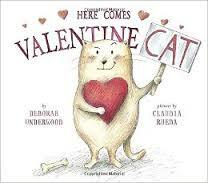 Cat does not like Valentine’s Day. He thinks it is too mushy and he refuses to make a Valentine for anyone- especially the new dog next door. Dog keeps tossing old bones over the fence and hitting Cat on the head. 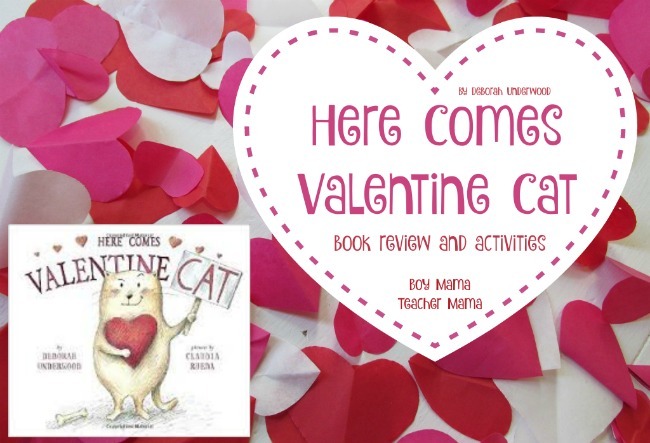 But just before Cat sends Dog a Valentine that tells him exactly what he thinks of him and his bones, Dog throws a ball over the fence making Cat change how he thinks about his new neighbor. After reading the story, try one or more of these ideas. 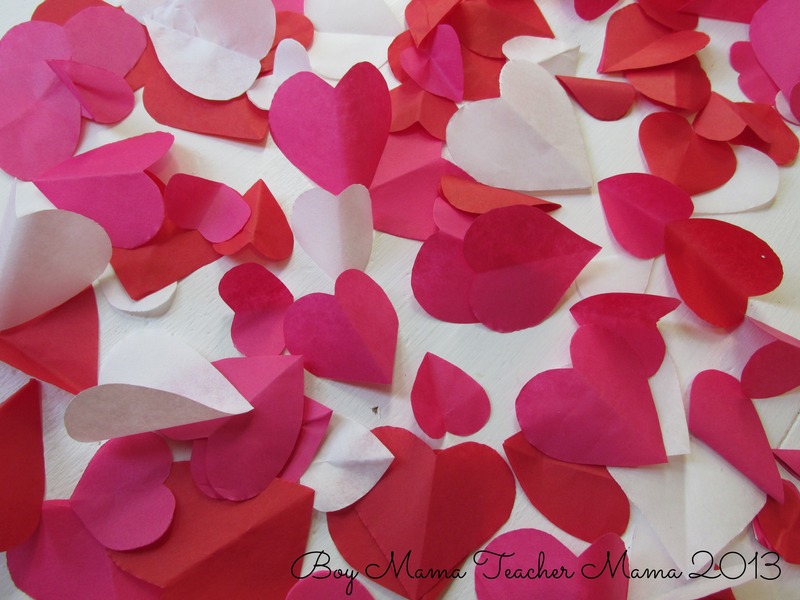 Teach children how to cut out hearts by folding a piece of paper in half. 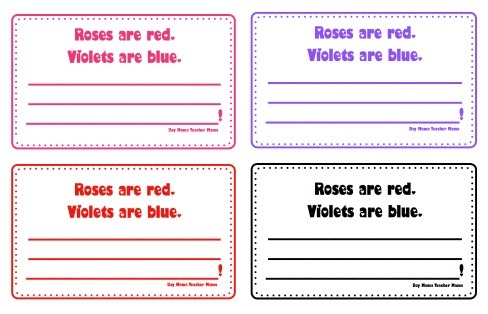 Write some Roses are Red Poems using this template. Click image below to download.